He has fought Roberto Duran on national TV, he has jumped out of an airplane, and he has toured coast to coast for the past 20+ years. 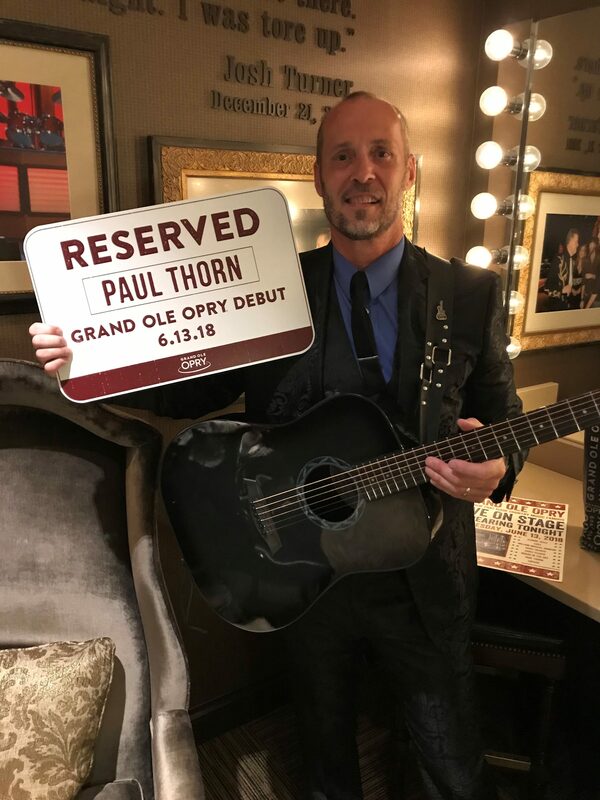 But it wasn’t until Wednesday June 14, 2018 that Paul Thorn played the Grand Ole Opry for the first time! Thorn, accompanied by his long-time guitarist Bill Hinds, and backed by the Opry house band, played two songs from his new gospel album “Don’t Let the Devil Ride,” and his rafter-raising fan-favorite “Mission Temple Fireworks Stand” to a near capacity crowd at the Opry House. He was presented with his own commemorative personal parking sign, which means he will be invited back and won’t have to use the Bass Pro Shops parking lot in the future… Congrats Paul!